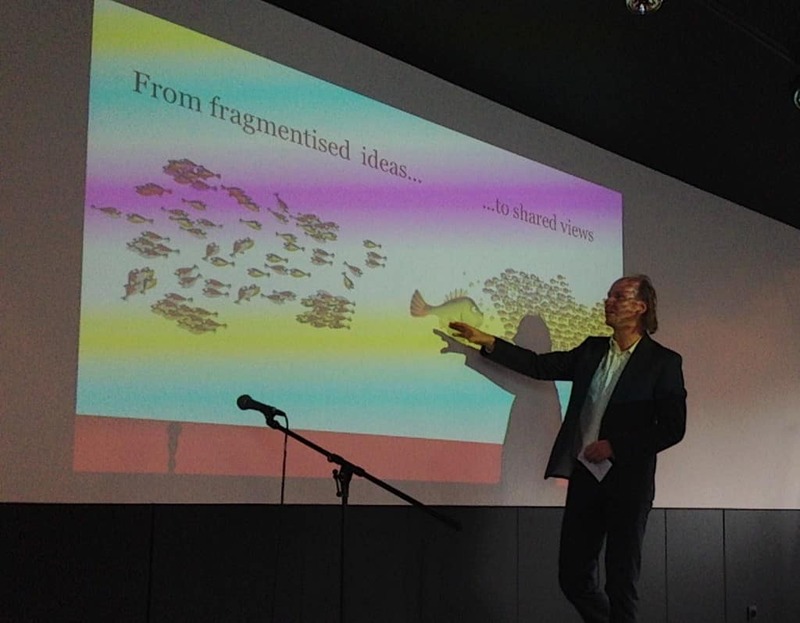 On the 6th of March, the Department of Engineering and Architecture of Ghent University gathered to explore their future. In a ‘Teletijdscafé’ orchestrated by Han Rakels, faculty, staff and students brainstormed about engineering challenges and how indies, archies and burgies (industrial engineers, architects and civil engineers) can work together to meet those challenges. The day started in a café setting in which small groups explored past, present and innovative ideas for the future of the Department. In the afternoon, the group of almost 100 participants made their own agenda to elaborate 17 topics more in depth. 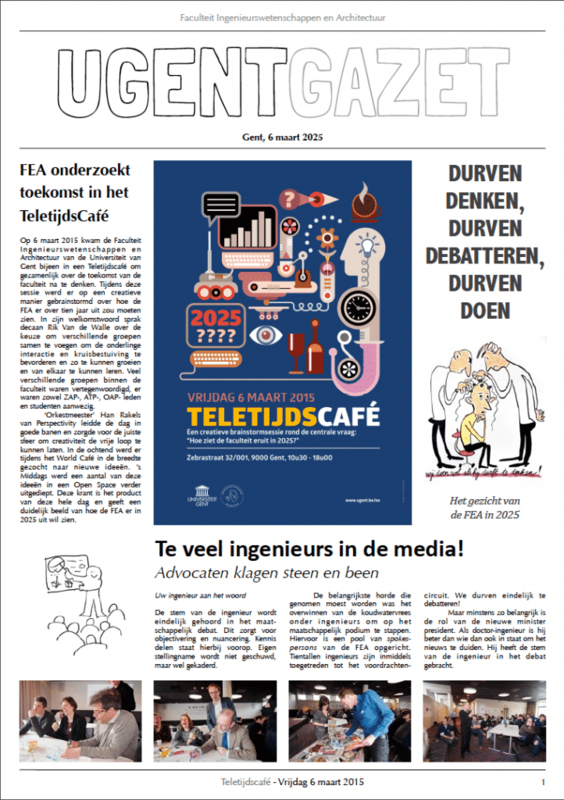 To be able bring the project ideas to the next level, they were assembled by Petra de Boer and Anne van Marwijk in the UGENT GAZET, a visual newspaper that gives a lively impression of what the department could look like in 2025. Participants worked hard and truly enjoyed the participatory character of the programme. At the end of the day, everybody indicated which projects they want to take further after the Dean has discussed them with the University Board.